Special Presentation of Stories of Teachers and Performers of Japanese Traditional Performing Arts in the Camps during WWII. Shirley Kazuyo Muramoto-Wong (koto), Bando Hiroshichiro aka Nakamura Gankyo (classical dance and Kabuki), and Brian Mitsuhiro Wong (shakuhachi). 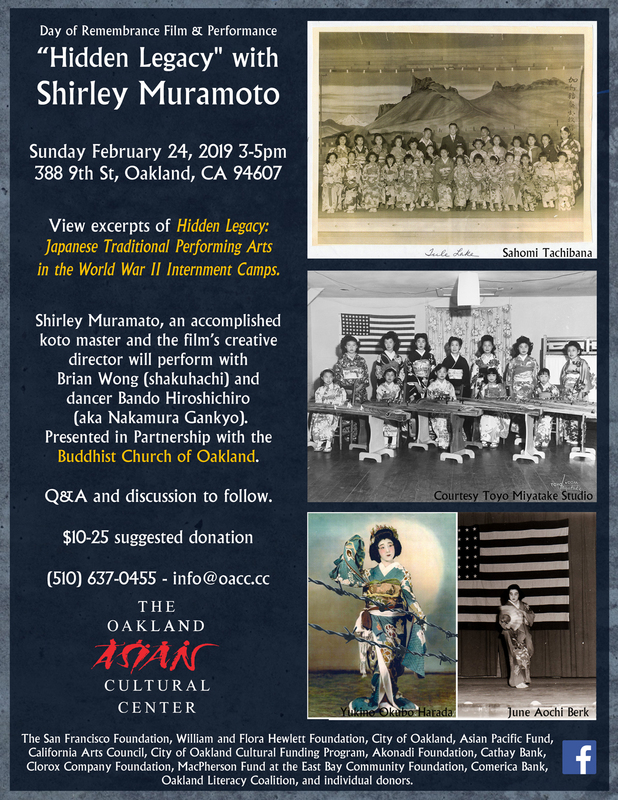 Content: The first hour will present parts of the documentary “Hidden Legacy: Japanese Traditional Performing Arts in the WWII Internment Camps”, along with story commentary by the artists, and performance following. The second hour will be a Q&A with the artists and former internees from the camps.